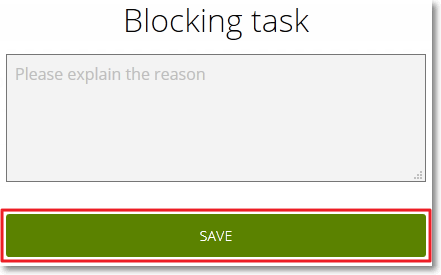 This action opens a form where you have to enter the reason for blocking the Task. Enter the reason why you want to block the Task and then click SAVE. The Task is highlighted red on the Related tasks list of the User Story to which it belongs and on the TASKBOARD (if the User Story to which it belongs is part of a Sprint) to show that it has been marked as blocked – project members will still be able to perform actions on its details page. The reason of the block is shown on its details page under the Subject. 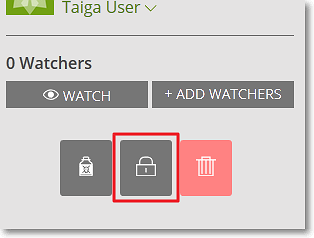 Note: To unblock a Task, go to its details page and, on the Sidebar, click .